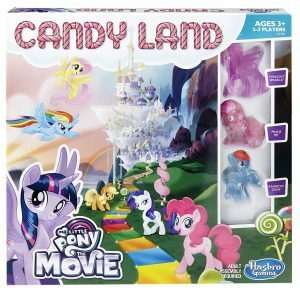 With My Little Pony: The Movie in theaters, it’s time for the licensed games in stores. 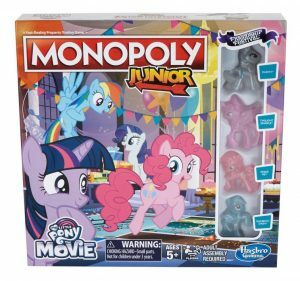 There are, of course, Hasbro’s My Little Pony: The Movie Monopoly Junior ($17), My Little Pony: The Movie Guess Who ($17), My Little Pony: The Movie Pie Face ($20), and My Little Pony: The Movie Candyland ($20), all available now, the first three exclusively at Toys “R” Us. 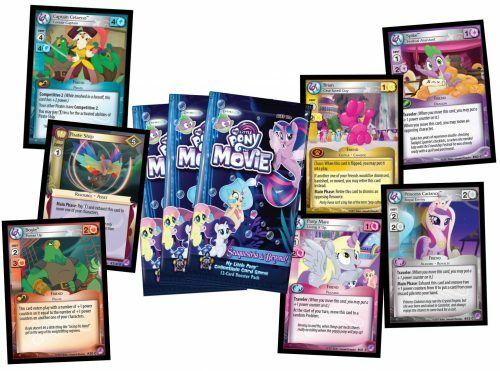 Releasing to retail November 24th is Seaquestria & Beyond, the ninth set for the My Little Pony CCG from EnterPlay. 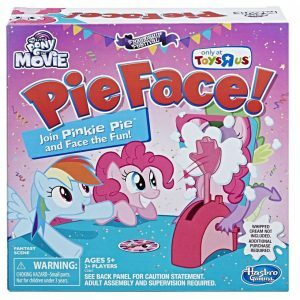 It adds new keywords, Traveler and Transform, new Mane characters, and elements from the movie, such as the Friendship Festival and The Storm King’s reign of terror. Single packs with 12 cards will be $3.49. 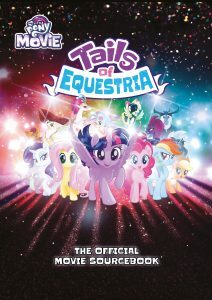 And then there’s The Official Movie Sourcebook ($20) due later this year for Tails of Equestria, the My Little Pony roleplaying game from River Horse. 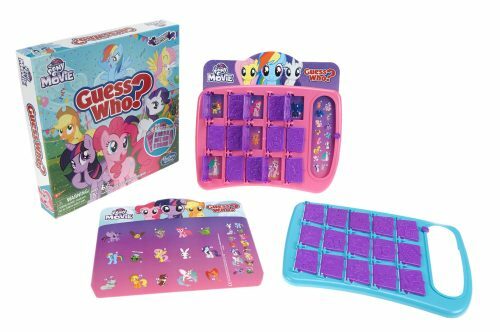 With this, players get new playable races (cats, parrots, hippogriffs, and lizardfolk), NPC stats from the movie, a new adventure, details for areas outside of Equestria, and rule options for factions, reputation, and vehicles.